A single use picnic grill is a complete BBQ set. In an aluminium tray lies high quality charcoal, soaked with odourless paraffin. The set includes also a firelighter – in the form of a sheet of paraffin paper and a steel grate. Everything packed, together with a metal stand, into a neat box and tightly wrapped in foil. All You need is a match, food and good appetite. It is light and handy, manufactured with great attention to details. 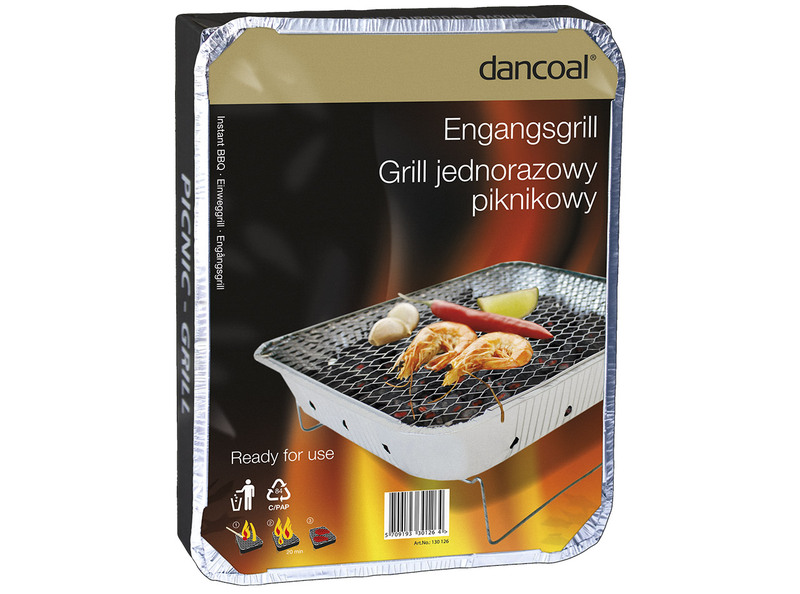 An ideal solution for people seeking the joy of spontaneous BBQ, without worrying about preparation, starting of a BBQ and cleaning after use.